Are basement waterproofing services on your home improvement to-do list? If so, turn to the experts at Allmaster Home Services. As a full-service home improvement business that has served the Reisterstown, Maryland, area since 1987, we have spent years honing our craft in the industry and can offer the experience and expertise that few other companies in the area can. What’s more, our dedication to your complete satisfaction ensures that all of your home improvement needs will be met in an efficient and friendly manner, and we will never consider ourselves finished until you are 100 percent satisfied. When you turn to Allmaster for your basement waterproofing needs, we will begin by assessing all of your home’s symptoms and performing a thorough inspection of your residence to determine the best approach to the issues you are experiencing. 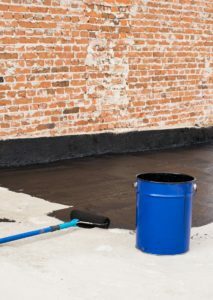 We will then put together an individualized waterproofing plan that is specific to your unique needs and will keep you in the loop throughout the entire home improvement process. To learn more about why we are a leading source for basement waterproofing services in Reisterstown, MD, contact Allmaster Home Services today.